I am a newborn photographer and would love to start incorprating original landscape artwork into my sessions. I attached a sample of the types of art I'm looking for as well as how I incorporate a baby into the artwork after. I would have certain requests on how the "light" is on each image because I photograph a certain way. 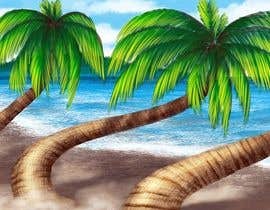 The first "Painting" I would be looking forward is a beach scene. The sun can't be setting though because how I light the babies is from in front of them and not behind them... hopefully that makes sense. I'm thinking a palm tree or something I could put the baby or a hammock under the tree. Doesn't have to be this just ideas that were running through my head. I would like to start doing this often for my clients and would love to find an artist that I can continue to use, so the art looks the same. Please check #11, thank you! If you don't understand why I uploaded my own work then it is very unfortunate. Do you want to showcase others work? Please provide Image set on which manipulation can be done for this contest. Is the contest for Single Entry? I am a Ph Manipulator is submitting my previous job, Have a look.